Place into a 9x9 casserole dish (or deep dish pie plate) and top with remaining 1/2 cup mozzarella cheese. Slice baguette into 1/2" slices. Lightly brush one side of each slice with olive oil. Broil the oiled side for about 2 minutes or just until lightly browned. My foodie guests and I found this recipe too bland as written. The second time I made it, I increased the gruyere and decreased the mozzarella (more flavour) and added a bit of milk to adjust for the less creamy cheese mixture. Also added 1 tablespoon of Dijon mustard and a short 1/8 cup of Worcestershire sauce for a kick (again, more interesting flavour). Now we’re talkin’…the second group of foodie guests asked for the recipe. Thanks for sharing your additions Cathleen! Found your recipe over Christmas break and used it for our Christmas dinner with the inlaws. Every since then, I have enjoyed and shared this with everyone. I love this version and the Gruyere cheese is so fabulous. 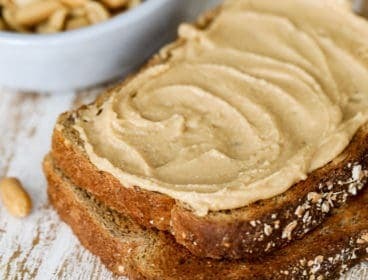 I am actually making a batch right now for me and a couple friends to snack on. Thank you for sharing your recipe. I now always have the ingridients in stock just in case I have the cravings. Thank you so much Richelle! I’m so glad you loved this as much as we do! Made the spinach artichoke dip…YES… very good! Easy and so tasty…used tortilla chips to dip…perfect pairing.. 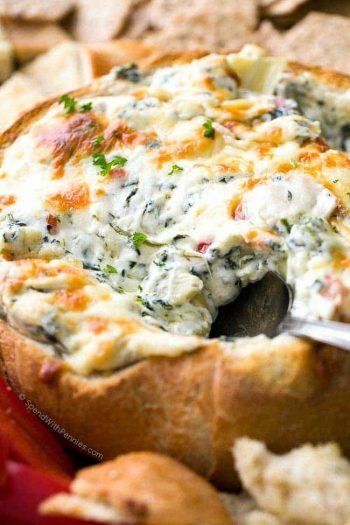 Happy to hear that you love the spinach artichoke dip. It does go so well with tortilla chips Anne! Can I premix this the day before? 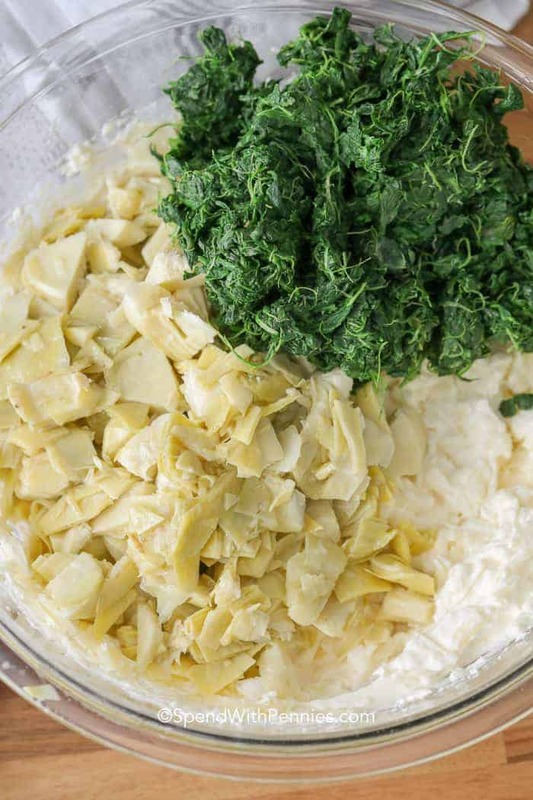 Do you need to use the hand mixer once the spinach, cheese and artichokes are added or just mix it in by hand? I fold them in by hand. What could be used instead of gruyere cheese if the store doesn’t have any? Swiss would be a good choice. If I double it would I adjust the cooking time and what size pan? I would think it would fit in a 9×13 pan. You may need to add an extra 5-10 minutes to ensure the middle is hot and melted. Optionally, you could double it and cook it in two smaller pans. Enjoy! Made it for super bowl for 2. Can this be reheated. This is an awesome recipe. Yes, you can reheat it in the microwave or covered in the oven. So glad you enjoyed it Donna! Do you think this would work with a cast iron skillet ? That should work Kristin! Enjoy! They didnt have gruyere cheese at the market when I went so I used jarlsberg and really loved it. Now that I found gruyere I’m not sure if I’d like it more or less! 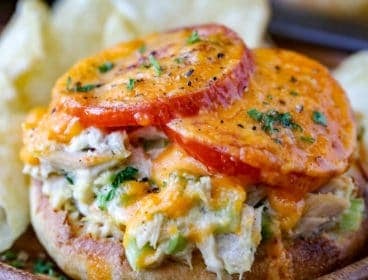 I would really like to make maybe half the recipe, what size dish would you suggest and should I adjust cooking time? Any small sort of casserole dish should work just fine. I’d still think it would need about 20 minutes to heat through. 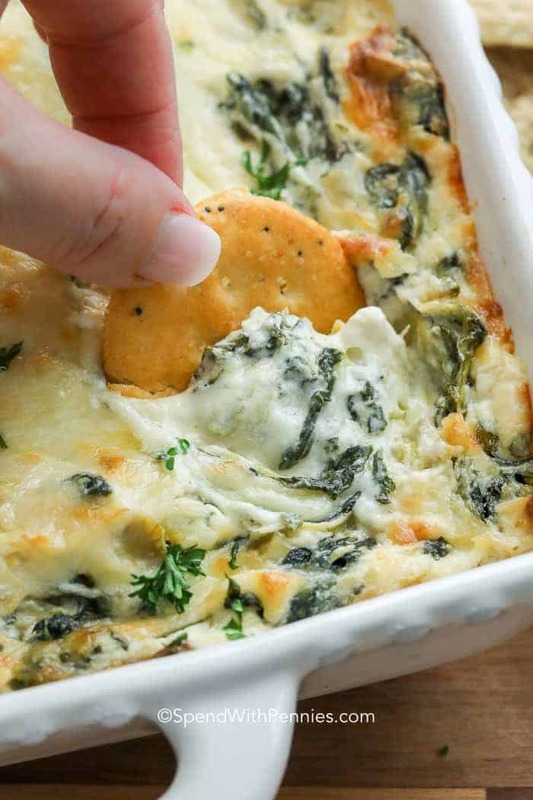 This is the BEST recipe for spinach artichoke dip hands down. I always make a double batch of it, and it’s gone every time. People ask me for the recipe, and I’m really choosey about giving it out anymore because it’s so good. I highly recommend it. The gruyere cheese is key. Ahh, thank you so much Brittany!! So glad you loved it! 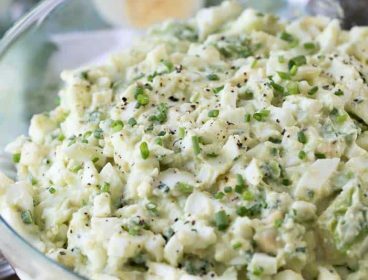 Is there an alternative to mayonnaise? I don’t have any. I have only tried this recipe as written, but I could suggest plain yogurt or sour cream. The flavor may be a little different. If you try it, let me know how it turns out! I made this for poker night and was a “Big Hit”!!! Yay! Hope it helped you win! 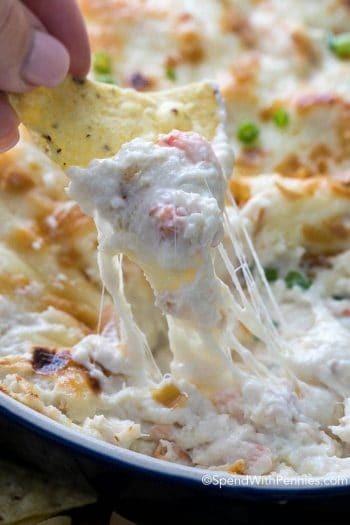 This is the most amazing dip ever! 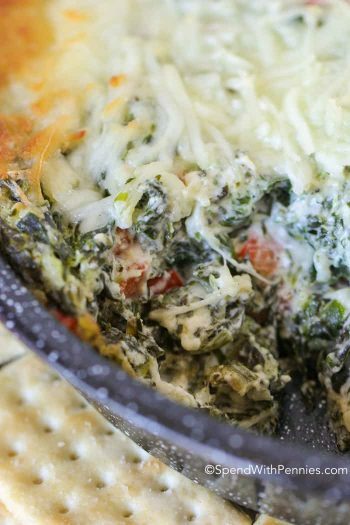 I’m incredibly picky when it comes to spinach artichoke dip, but this one hits all the right notes. The right amount of spinach and artichokes and the gruyere cheese puts it over the top! Definitely a keeper! Good recipe! I added a small can of chopped green chilies to add a little more zip, but not hot. It was the favorite on the appetizer table. That sounds like a great addition Vick, we love adding jalapenos from time to time for the kick too. Enjoy! Iy taste way to much like mayo… I would replace the mayo with some more sour cream and avocado oil. Also it needs to be seasoned, it had no taste. I scrolled to see if you answered this question in another comment, but couldn’t find it. 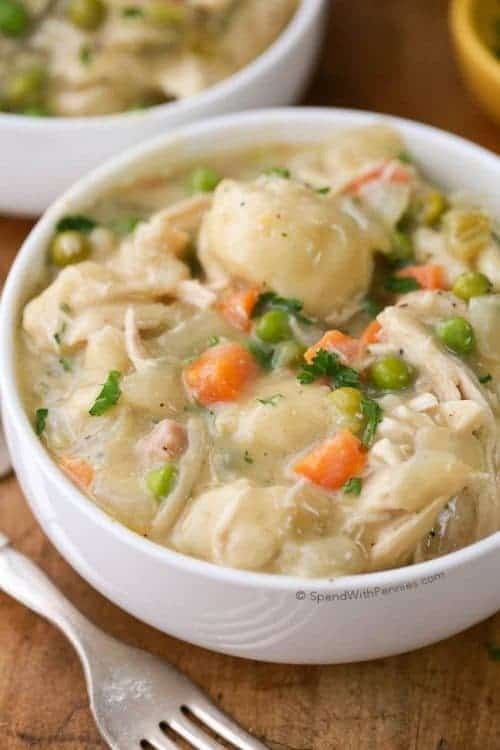 Can this be made in a slow cooker and what temp/for how long would you suggest cooking it if it can? I haven’t tried it but I think it would work. Because it has dairy, I’d recommend only having it on low. Enjoy Lacey! Made this yesterday and it was so good! This dip is incredible, just made a double batch for my family as part of our Christmas Eve smorgasbord. So perfectly cheesy and all the flavors come through amazingly. The marinated artichokes are a MUST. I think next time I make it I may add some extra garlic, just because my family are all fanatics for it. Thank you so much Holly! So glad you loved it Amelia! Those sound like great tips! Can this be frozen once cooked and heated later on? I want to make ahead. You can freeze this and bake it when you’re ready to enjoy! I made this as one of my appetizers before the Thanksgiving meal today. It was a huge hit, I will definitely be making it again. Thanks for the tasty recipe! Explain the marinated artichokes please…how and what do you use for marinating? You can purchase the artichokes already marinated in oil online or in almost any grocery store. If you look at the ingredients you will see they contain oil (and spices or seasonings) instead of just artichokes and water. We loved this recipe! It goes very quickly in our house. Glad you love it Loretta! 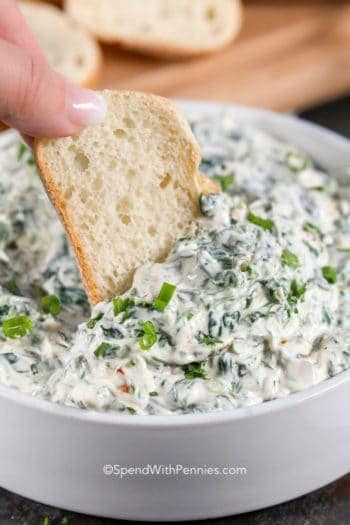 Can you use canned spinach in the dip recipe? I haven’t tried it but I’m sure it’ll be just fine. You’ll want to make sure you squeeze out as much liquid as possible. I just made this recipe with canned spinach. It came out great! 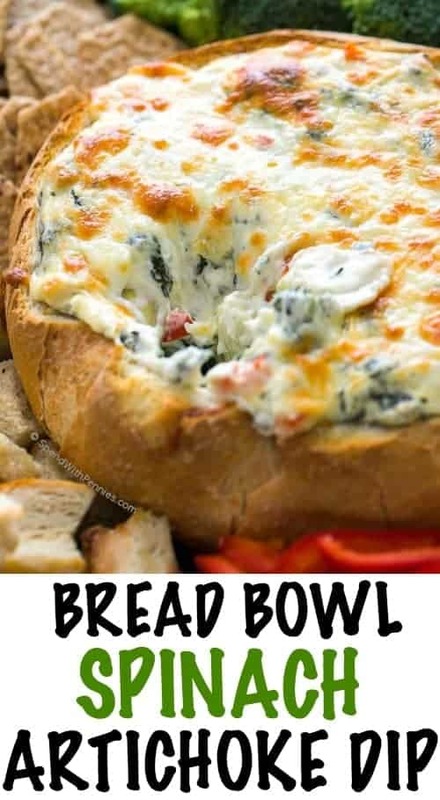 I made mine with 2 cans of spinach and a bit more sour cream though, since im a huge fan of spinach and i prefer a “sturdier” dip vs. a wetter one,if you will. So glad you loved it, thanks for the tips on the canned spinach! When we go out to eat we always order spinach artichoke dip. So I decided to try makin this recipe today for my sisters birthday party. My family loved it. N it was so easy to make. There was no leftovers. I’m sure this will be made at all our gatherings from now on. Thank you for sharing this delicious recipe. You’re welcome Sonya! I’m glad that you and your family loved the dip. We do too! do you drain the artichokes? thanks in advance! Yes, the artichokes are drained. I’ve updated the recipe to add this information! This should be fine a couple of days ahead of time. I am so glad you enjoyed this recipe Lori! Did you drain the marinade off the artichokes? Just want to thank you for this recipe. It was a Total Hit of the party. When I found it…. I thought, “theres going to be alot of people, I’ll double it” . As I was mixing it together I realized, “Holy Crap” ..its making a ton, so I separated it for another party for the weekend. I tweeked it a little, added scallions and black pepper and another garlic. The Gruyere cheese was perfect. Thank you so much. 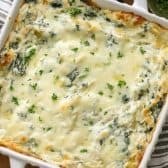 I thought I had the best recipe ever for spinach artichoke dip, then I tried this one…it is wonderful thank you for sharing this great recipe. Love the recipe. I used non fat Greek yogurt in stead of sour cream and different cheese (Manchego and Asiago) based on what was in my frig. Turned out great and my guests ate it up. Cheers! This should fit in a 2qt baking dish. Hi Lauren, it is pretty yummy stuff so for a large gathering you might want to double the recipe! The gruyere is shredded. Happy Thanksgiving! I made this and my whole family devoured it. I was asked to bring it (a lot of it) this Sunday to my granddaughter’s baptism party. Question: Can I make it and keep it in a warming bag while in church and then they can reheat it? Yes, that will work just fine! I’ve reheated leftovers with great results! I love dips, especially for the coming alfresco dinners, so thanks for this new combo! 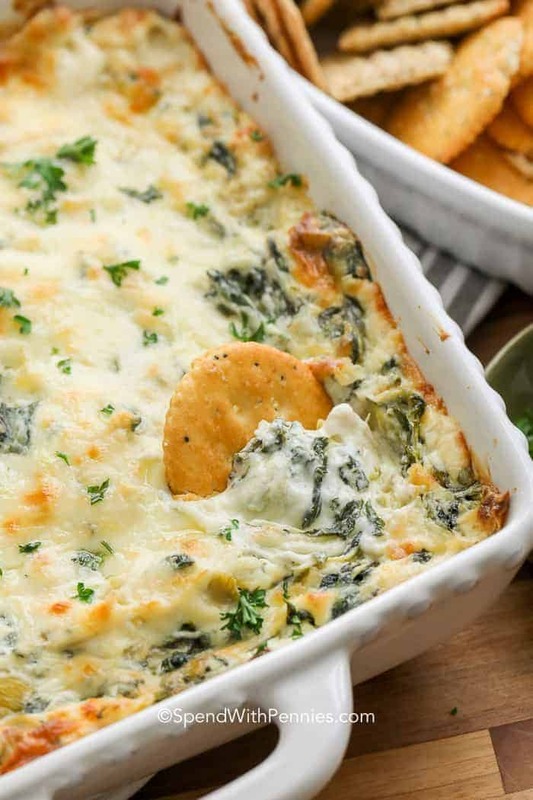 I so love spinach and artichoke dip. Thanks for sharing your tips! Def pinning! I like the spinach as well as artichoke – sounds delicious! I doubled the recipe for a work event, and it was gone within 45 minutes. It was delicious. I barely even got to try some myself. The Gruyere cheese is awesome. 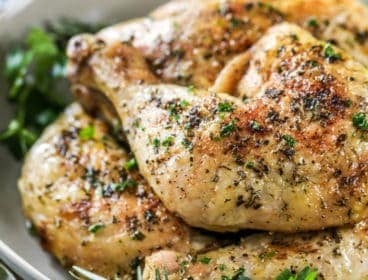 I add a little more garlic because I like it, but this is a superb recipe! I thawed out my spinach only to discover it was BROCCOLINI! !..So, I put it in the food processor and continued with the recipe. It turned out great! !… I did add some red pepper flakes, though. I love how you adapted the recipe, I’m not sure I would’ve thought to put it through the processor! :) So glad you enjoyed it! 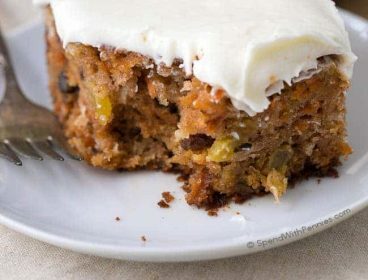 To squeeze spinach dry for recipes, I have found using my potato ricer squeezes it into a nice dry cake that pops right out. I also use this to squeeze the liquid out of cucumbers for my famous Tzatzki dip. 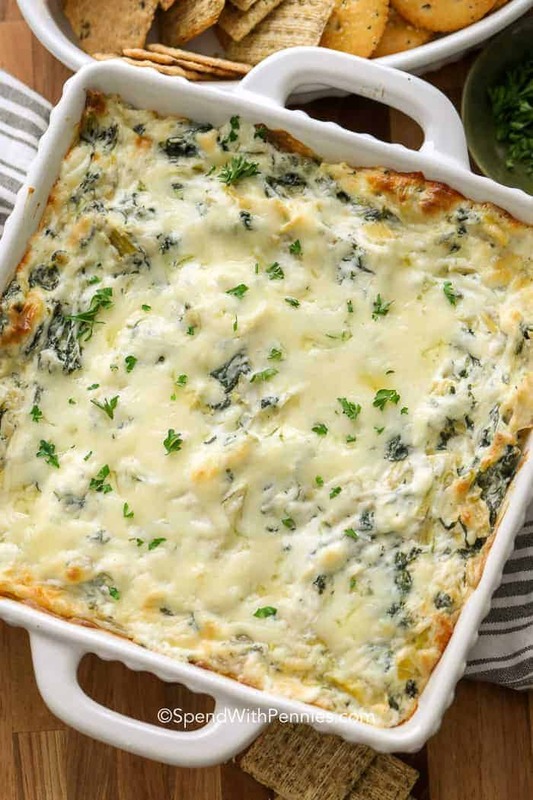 CAn’t wait to try this recipe, so hungry for spinach! Oh what a great tip Kasey! Thank you! You have done it again!! This is so good. I added bacon and used sswiss cheese because I couldn’t find gruyere in my local supermarket. Thanks soo much for the recipe. I’m so glad you enjoyed it Ebony! Bacon would be a delicious addition! 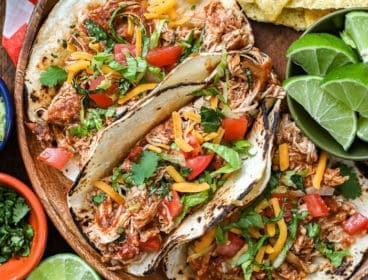 wondering if this would be ok to due in a crockpot? I haven’t tried it but I think it would work. Because it has dairy, I’d recommend only having it on low. 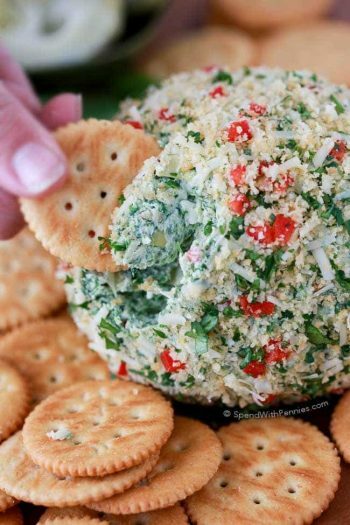 A great classic dip for the big game! Thank you so much for sharing with Full Plate Thursday and have a great week! 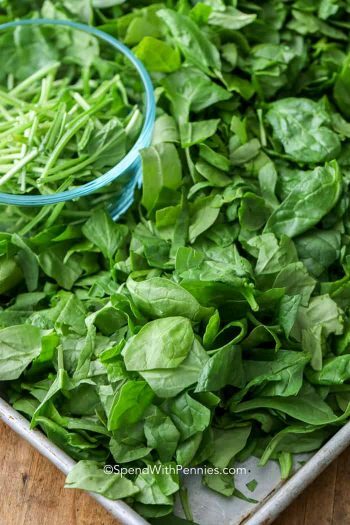 Agreed, it’s really hard to get the spinach dry without it. I know this is an old post..but i use my potato ricer to squeeze my spinach. It gets it perfectly dry!